I’ve heard so many people say, “I can’t meditate,” or “I can’t get into a trance state.” Yes, you can meditate and you enter trance every day. You’re just not aware of it. So, in this article are some meditation tips that will help you learn to mindfully meditate and enter that trance frame of mind at will, and some misconceptions about meditation that might be holding you back. 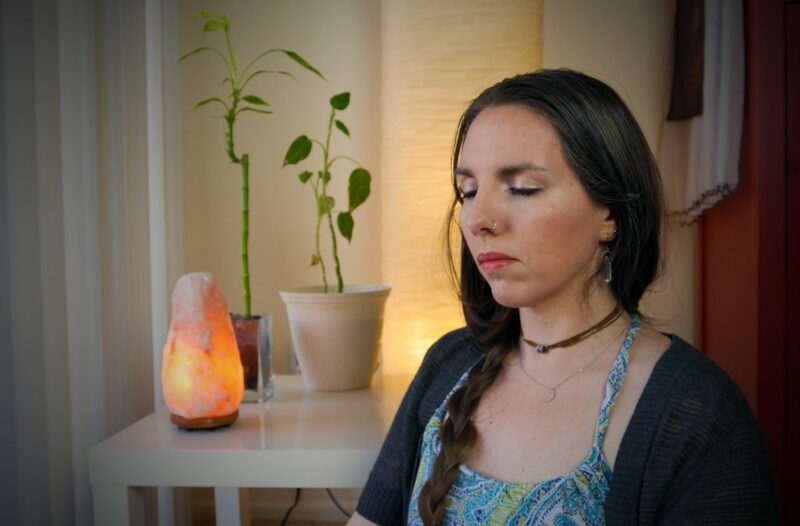 I’ll also include a list of cool stuff that I’ve found helpful when putting these meditation tips into practice at the bottom of the article. What’s the connection between meditation and trance? Meditation is the conscious act and practice of inducing an altered state of consciousness or trance. 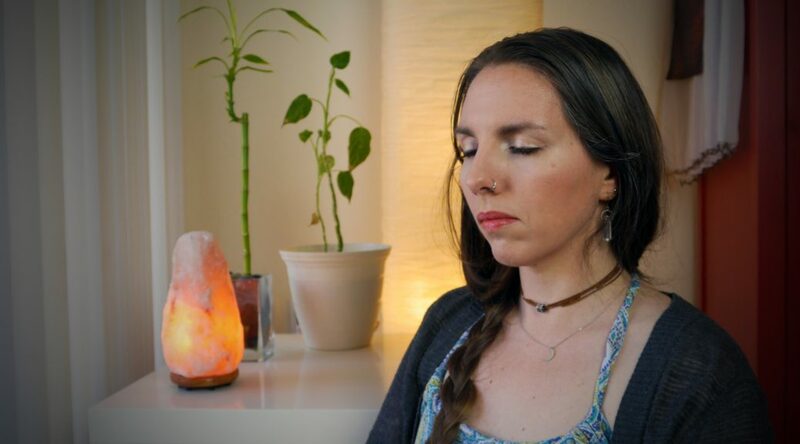 Learning to meditate will make it easy to drop into a trance when you need to relax and de-stress, perform a spell, or even finish that assignment on time. It trains your mind to be able to focus and do what you want it to. Ahh! Nice, shady tree and some japa mala beads. Getting my Om on! Before I share with you some meditation tips, let’s talk about the things people believe about it that aren’t true. If you’re having trouble meditating, it’s probably because you believe one of these things and it’s holding you back. 1) Only monks can do it. Wrong! Everyone can do it. Monks get really good at it because it’s what they do all day every day. You only have to do it a few minutes a day, though, to radically change your life, behaviors, and your perspective on the world. Also, your reasons for meditating might be different from those of a Buddhist monk or a Hindu Sadhu, and that will also determine the kind of meditation you pursue. Meditation tip: get it out of your head that you have to already be enlightened to meditate. That’s backwards. 2) Meditation means not thinking about anything. Well, good luck with that! Our minds are designed to be constantly thinking something or everything at once. Meditation gives us the ability to distance ourselves from our thoughts, and observe them so that we are not ruled by them. Meditation allows us space to watch what our brain serves up, and then decide if it’s a worthwhile thought to keep or one to trash. There’s a lot of garbage that our brain produces, and meditating lets us clean it out. When you can filter your thoughts, you can bend them to your will. Meditation tip: you’re learning to focus your mind, not negate it. Meditation is not about forcing your mind onto a single thought, image, mantra, or syllable. It is about gently guiding it back to that point, over and over every time it wanders to some other thought. And it WILL wander! Forcing your mind defeats the purpose of being in real focus. Anyone who’s ever tried to force or drag a horse (or other large or stubborn animal) to do anything will know it just won’t work. Similarly, you have to coax your mind back on track, firmly and gently. Meditation is a practice, not a static state of mind. It’s like balance, you are constantly shifting to find that sweet spot. Meditation tip: practice, and don’t expect perfection. Yeah, that’s one way to meditate. You can also meditate with a hula hoop, or by painting a picture, or by drumming, or by doing some yoga. You don’t have to sit in lotus position (I certainly can’t— it hurts my knees!) for hours at a time. What you hope to accomplish by meditating will give you insight into what method to use. If you want to release tension and get out of your head and connected to your body, then something physical might be the best choice. If you’re trying to stimulate creativity, doing some repetitive art might do the trick. But, if you’re trying to focus your thoughts, then sitting still and breathing or chanting will do the trick. Calm, relaxing breathing meditation. This is how most people imagine meditating, but it’s only one way to do it. There are different levels of intensity to meditation. If you want to sit in a cave in the jungle, not eating, drinking, or moving for months at a time, that’s going to require a very intense, deep level of meditation. It will take years (or lifetimes) to get to that level. But, you don’t actually have to be able to do that to be successful with meditating. You can still gain spiritual insights, peace, and higher awareness if you hoop dance or chant for a couple of minutes a day. Meditation tip: don’t be afraid to switch it up! 5) I can’t get into a trance. You go into trance literally every day. Trance is an altered state of consciousness where you are only half-aware of the world around you. You do this a lot. Have you ever been daydreaming and then had someone scare you out of your reverie by “snapping” you out of it with a loud noise, only to find out they’d been calling your name for 5 minutes and standing right next to you? Yeah, you were in a trance state. How about those times when you drive home and realize you have no idea what happened on the way because you were thinking about something else? You were in a trance state. What about when you get so into your work or play that hours go by and it feels like minutes? Trance state! Anytime you watch TV or become absorbed in a book you’re in trance. Meditation tip: you already have the ability. OK, great. Now, what are some other meditation tips? The best of all meditation tips anyone ever gave me is to start with breathing. Sit comfortably (but straight! ), either cross-legged on the floor or in a chair with your feet on the floor. Take a deep breath in for 4 counts, filling up your whole belly. Hold it for 4 counts, then breath out completely over 4 counts, and hold again before repeating. If you’re just beginning, start with 1-3 minutes. You may feel lightheaded, so don’t try to go for a long time at first. While you do this, focus on the counts and the breath moving in and out. If another thought pops in, gently return your mind to breathing. After a few days or weeks, you will notice you have a much easier time and can go for longer. There are also other breathing rhythms you can experiment with. Here’s a collection of my mala beads from India, one from a friend, and a rosary from a loved one who passed. One of my favorite forms of meditation is chanting on a mala or prayer beads. If you have a favorite mantra (mine is the Maha Mantra), then use that. If you have a favorite prayer, then repeat it for each bead. This is a great way to connect with Deity. I also know people who will recite an affirmation, which is a great way to connect with yourself. 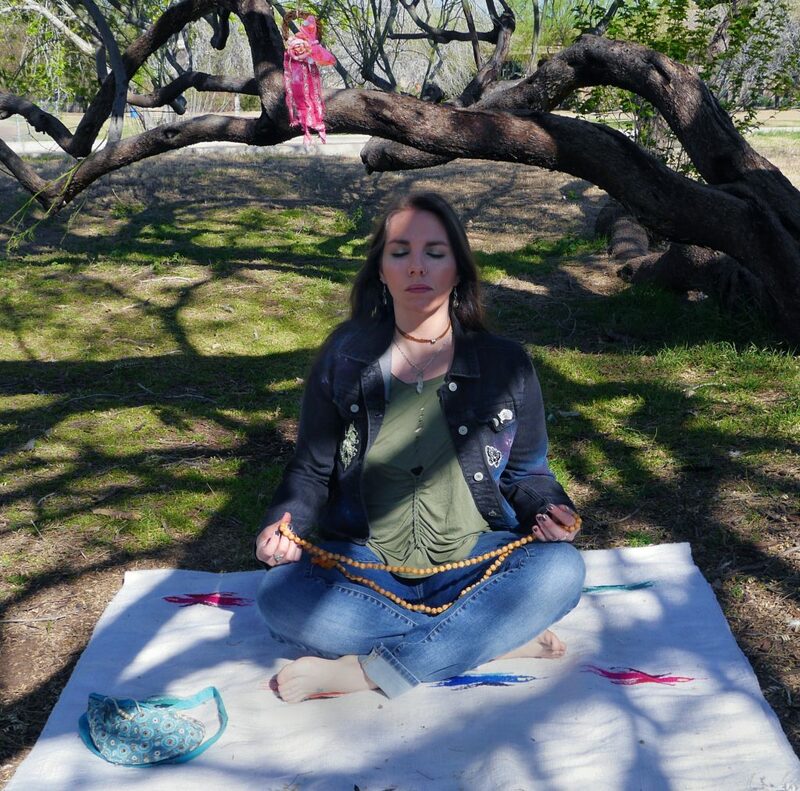 Mala beads give your tactile sense something to focus on, and chanting gives your mouth something to do and your ears something to listen to, so you end up focusing multiple senses on one thing, which can help keep your mind from wandering too much. I recommend these types of meditation to anyone. If you can do one or both of these, then other kinds will be much easier. What do I need to meditate? There are some cool props that are very helpful to have, like meditation pillows or blankets . If you find sitting for meditation uncomfortable, invest in a good pillow. You don’t have to put up with discomfort. For chanting meditations, you should get a set of beads to keep count. 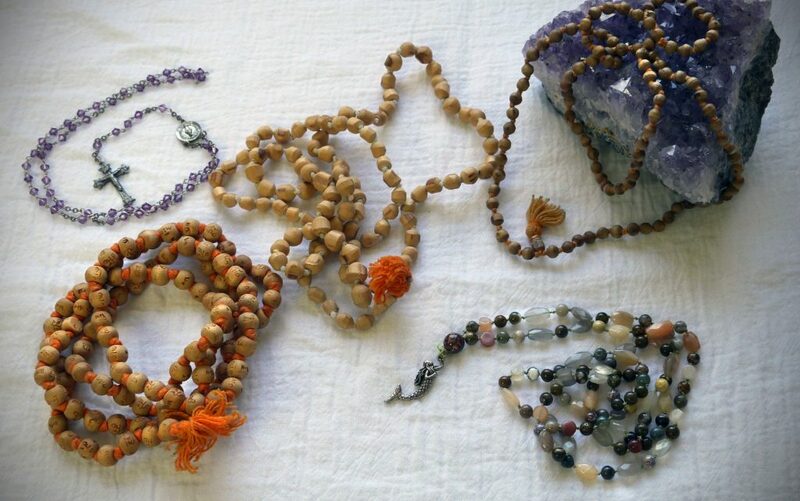 I use Japa Mala beads , but many people use other forms of prayer beads or rosaries . If you feel lost or just like the idea of having some guidance, then guided meditations are really great. There are also lots of guided meditations on audio, and ambient music that is nice to listen to. Music not only “sets the mood,” but is a powerful tool for changing the frequency of your brainwaves. YouTube has so many ambient nature sounds, or meditation tracks that I couldn’t begin to list them. I like ocean waves and celtic music, or kirtan music , but you may like something different. Have fun finding what you like! 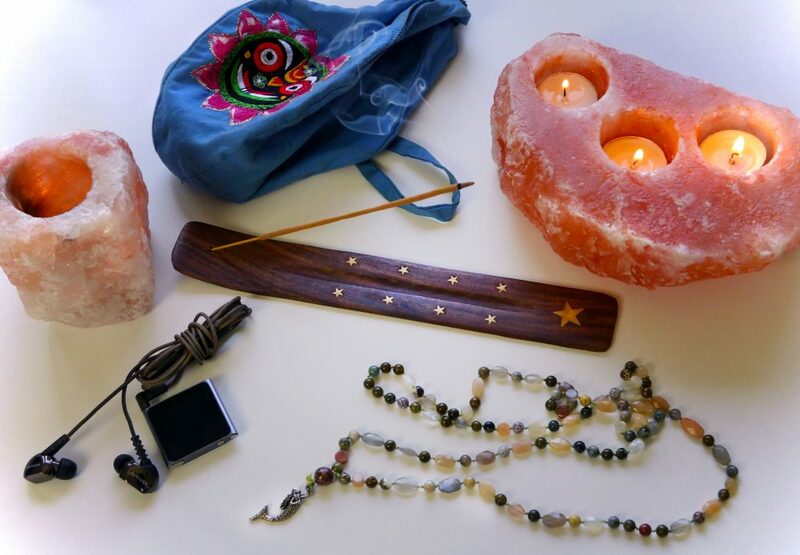 Music, incense, candles, and beads are all things that can help you meditate. These things are really helpful to have, especially when you’re beginning. But here’s another meditation tip: you have to have a space where you won’t be disturbed by phones, electronics, or other people. This could be a room in your home or a secluded place in nature or even the shower if that’s the only place that works. I find it’s helpful to have a set place where you go every time. If you’re consistent in how often you meditate and where you do it, it will be easier. Later, you’ll be able to meditate anywhere. If you can’t sit still, one of the best meditation tips I can offer you is to try some form of moving meditation. Yoga is one of my favorite forms of moving meditation. I wrote a blog on the reasons why yoga is so great. I also love dance, and hoop dance is a lot of fun! 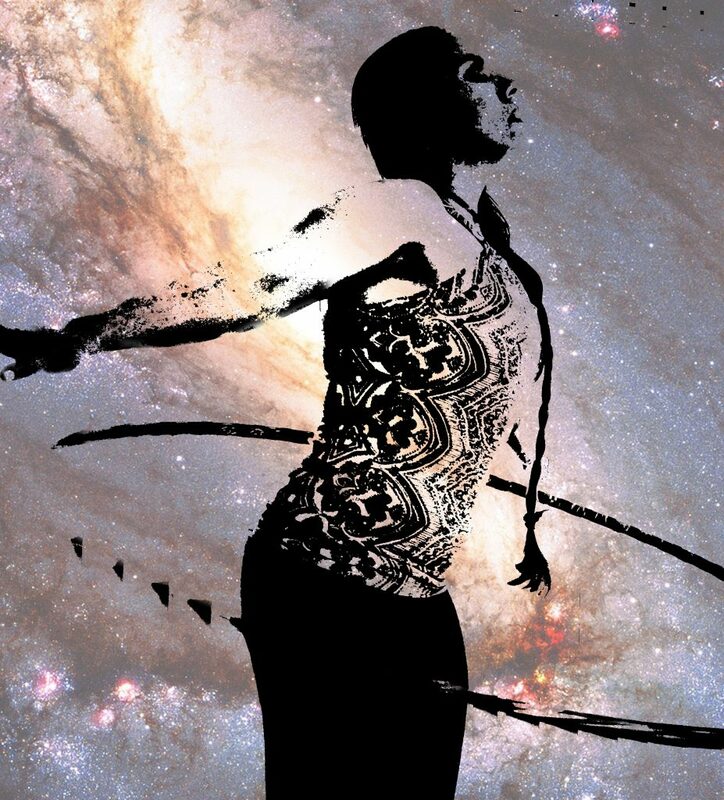 When I hoop dance for meditation, I close my eyes and feel the hoop move around me in tune with the music. It helps me connect to my body very quickly and effectively. If you want to give this a try, you’ll want an adult dance hoop . They’re way easier than a kid’s hoop. Hoop dance is a really fun way to practice moving meditation and trance! See? Meditation doesn’t always have to be so serious! Hoop dance is not the only way to dance your way to trance. Sufi’s are famous for whirling and swirling trance dancing. Remember when you were a kid and used to spin around and around? Try it now! It is so effective. Again, do this a little at a time so you don’t get too dizzy and fall over. Work up to longer periods of whirling, or just move however your body wants to move. Meditation is a practice, which means you’ll have to, you know, practice it! If you get frustrated, just remember this, take a breath, and try again. It does get easier. Meditation works best when you do it every day. If you only have one minute to spare to do a few rounds of meditative breathing every morning in the shower, then take that one minute. If you can do more, awesome. But don’t think that one minute won’t do anything for you, because if you do it every day, you will see that it does. If you try one form of meditation and you just can’t get the hang of it, then try another form. Maybe come back to the first one later when you’re more confident, or maybe not. Every person is different. The meditation that works best for you might not be the one that “everyone else” is doing and there’s nothing wrong with that.